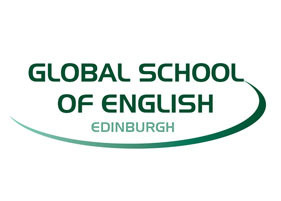 Global School of English – Edinburgh is one of three Scottish owned, family run schools. The other two are Glasgow School of English and Hamilton School of English – Edinburgh. The school was established in 2010 and has quickly established a reputation for providing high quality English language courses in a relaxed and welcoming setting in the centre of Edinburgh. We are located in the upper floors of an 18th century townhouse building in the historic New Town of Edinburgh which provides the ideal location to enjoy the culture, history, arts and music, great food, sports, and beautiful scenery that Edinburgh has to offer. We are ten minutes walk from Waverley train station and two minutes walk from the main Edinburgh bus station. Quality is important to us. We are accredited by the British Council under the Accreditation UK scheme and are also a member of International Association of Language Centres (IALC). We are also one of the few English language schools to be approved by the British Standards Institution against the internationally recognised ISO9001:2008 quality standard. We are committed to improving your English language skills and making sure you get the most out of your experience in Edinburgh,whether you want to gain entry to a UK university, pass an examination such as IELTS or TOEIC, enhance your employment opportunities, or simply enjoy your time visiting Scotland. Our professional teachers and staff are strongly committed to delivering quality teaching and personalised customer services in a welcoming, international environment all year round. What can Global School of English offer you? This course focuses on the academic skills needed to study in the UK. The Academic English course is designed to help both postgraduate and undergraduate students. It focuses on transferrable academic skills relevant to students of business, science and humanities. CAE is an exam for people who are of an advanced level of English. This Cambridge ESOL exam is a high-level language qualification and is ideal for those who are required to give evidence of their abilities for demanding professional and academic situations. It is also ideal for people wanting to mark their own progress in English language learning. A CAE certificate is recognised globally by more than 11,000 universities and colleges, employers and government departments around the world. This course will allow you practice of each of the 5 papers and will provide you with the necessary exam skills and language practice to be successful in this test. The TOEIC Test (the Test of English for International Communication) is designed for students looking for an internationally recognised qualification for Business and Professional English for use in the UK or abroad.This course provides practice of the exam skills and language skills necessary to perform successfully in this test. The TOEIC exam is one of the world's most popular tests of Business and Professional English and ideal for those looking for work in an English speaking environment. If you are planning to study at a college or university you will be required to demonstrate your English language ability prior to acceptance. The IELTS (International English Language Testing System) qualification is the recognised standard used by academic institutions in the UK, Ireland, Australia and New Zealand and is also accepted in the USA and Canada.This is a full-time course that covers on the language skills and exam techniques to prepare you for the IELTS exam. You would study IELTS preparation in the morning and General English in the afternoon. If you are planning to study at a college or university you will be required to demonstrate your English language ability prior to acceptance. The IELTS (International English Language Testing System) qualification is the recognised standard used by academic institutions in the UK, Ireland, Australia and New Zealand and is also accepted in the USA and Canada.This is a full-time course that covers on the language skills and exam techniques to prepare you for the IELTS exam. "The TOEIC Test (the Test of English for International Communication) is designed for students looking for an internationally recognised qualification for Business and Professional English for use in the UK or abroad.This course provides practice of the exam skills and language skills necessary to perform successfully in this test. The TOEIC exam is one of the world's most popular tests of Business and Professional English and ideal for those looking for work in an English speaking environment." The course focuses on transferable communication skills which are relevant to learners from a range of business backgrounds such as management, finance, manufacturing, sales and marketing, tourism and hospitality, etc. The core skills areas are meetings, negotiations, presentations, telephoning, report writing and email. The course also covers a range of topics appropriate to international business such as cross-cultural relations, human resources, globalisation, IT, web2.0, developing markets, recession & growth, etc. The course has a strong focus on the practical needs of both short and long term visitors to the UK. It is ideal for anyone who wants to improve their all-round communication skills. There are 15 hours of classes each week. You can study from as little as one week to one year or more. You can enrol on any Monday. The course has a strong focus on the practical needs of both short and long term visitors to the UK. It is ideal for anyone who wants to improve their all-round communication skills. There are 22.5 hours of classes each week. You can study from as little as one week to one year or more. You can enrol on any Monday. This course has a strong focus on the practical needs of both short and long term visitors to the UK. It is ideal for anyone who wants to improve their all-round communication skills. The course has a strong focus on the practical needs of both short and long term visitors to the UK. It is ideal for anyone who wants to improve their all-round communication skills. There are 15 hours of classes each week. This option is available in July and August only. This option offers customised tuition to match your academic or business communication needs or specific area of expertise. The timetable is flexible to suit your availability: lessons could be intensive (full-time) short courses or a few hours per week to fit your schedule. We believe in making your stay as comfortable and as enjoyable as possible. We provide a wide range of options for your stay in Edinburgh. Small Hotel Accommodation- stay bed and breakfast in an ensuit bedroom. Student Residential- stay self-catering in clean, comfortable, modern accommodation in fully furnished student cluster flats, containg 5 en-suite single bedrooms and a shared kitchen/lounge. Please check our web site for the full list of our accommodation options, prices and when available. We can arrange transfers from/to Edinburgh International Airport, Glasgow Internationl Airport and Glasgow Prestwick Airport. Please see our website for details. We run a regular weekly social programme of school trips and social events to help you to learn more about the city of Edinburgh and life in Scotland. Teachers join students to give everyone the chance to practise their English outside of the classroom. These trips and social events are a good opportunity to meet and chat to students from other classes and countries. ✓ Large student common room.